What is Love? Most of Humanity does not even realize Love’s true power. Love goes far beyond the care, compassion and understanding that humanity has for another, true Love fills the heart and soul and transforms your surroundings. Love is the ultimate “Sorcerer’s Stone” that allows the giver to change their perception, and even the outcome, just by aligning themselves with the energy from the Ultimate Being. True Unconditional Love is the strongest force in the Universe. Look around yourself… How are you projecting Love? Are you afraid of what others might say? Love is not about being in a position of weakness. 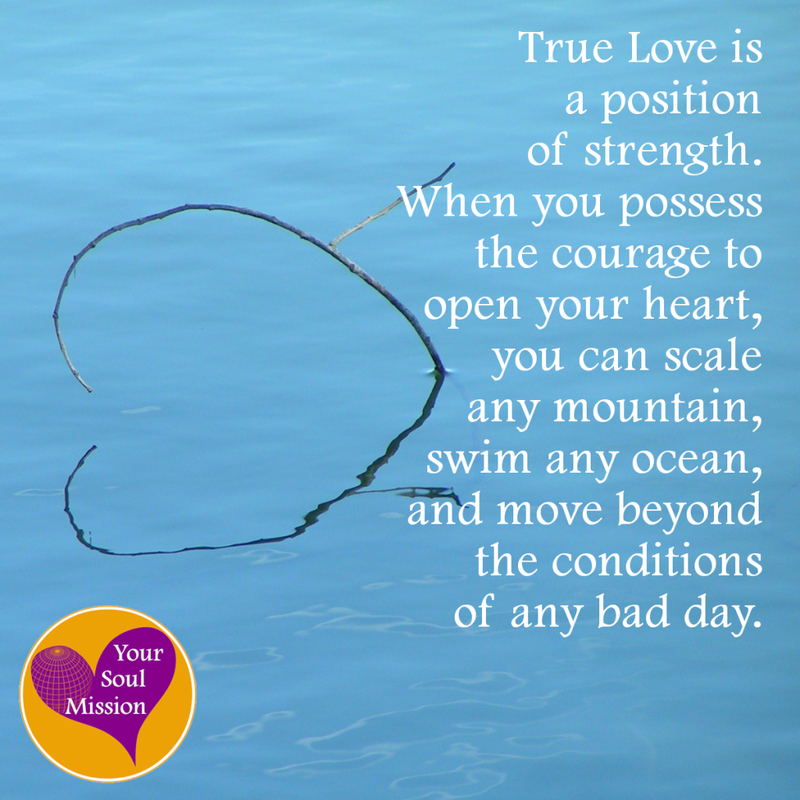 True Love is a position of strength. For if you have the courage to open your heart to all that is, then you can scale any mountain, swim any ocean and can get beyond the conditions of any bad day of life. True Love changes your perceptions, so that you will no longer see yourself as the victim in the grand chess game of life. True Love allows you to become the Divine Alchemist, able to transform the game into whatever pleases you. The messages on this website are intended to provide humanity with compassion, solace and guidance during this ever-changing time. Through all that transforms around you, the one thing that you must remember is that you possess the strongest force of the Universe and that is Love. Look at every situation in you life with Love, True Love, and you will be able to watch it transform before your very eyes.